(Forgot to mention I it's an 8500). Hmmm... Well that pretty much makes this the perfect thread to post your question in. How did you source the new bezel? The strap looks nice, do you have the details ? Any feedback on it ? Why are you planning to change ? 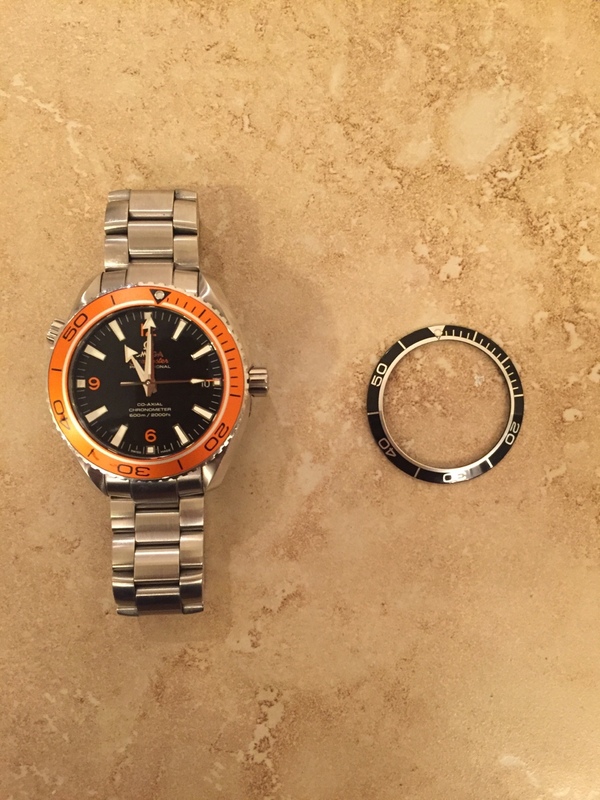 I just bought a black bezel for my orange PO and thinking about swapping it. Do you guys think it would look weird since the numbers will still be orange? I put the bezel over the watch to see and it looks super awkward. I think I'll need to get used to it. 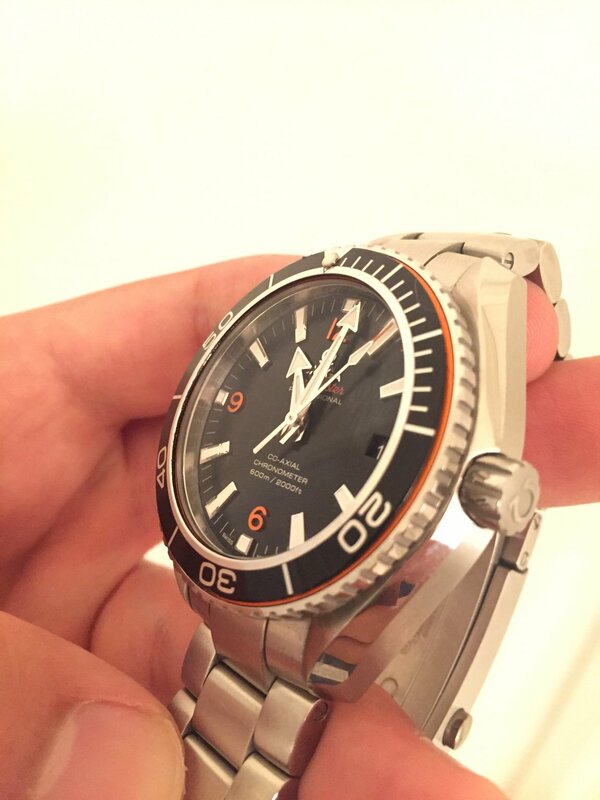 The 2201.51 comes with orange numbers and black bezel and looks fine. I put the orange bezel on mine 2-3 years ago, and I like it better that way. So here is my watch with the black bezel. Please note that the insert isn't installed, I just put it over my orange bezel. This is aftermarket but look so fine. My only concern is that you can still see some orange so I'm worried about the sizing but maybe that's because it's not fully installed into the bezel as it should be. Aftermarket Bezels usually comes with a crap Lume pip. I hope yours are not unless You're not bother with the Lume pip function. This one is fine. Can't complain for $16. I started using this watch as a back up bottom timer when scuba diving so it should bother me. It looks aftermarket to me, being set too low and maybe too large vs my PO 2500 black bezel. I'm also not sure an aluminum bezel insert made for PO 2500 will fit correctly inside the PO 8500 bezel ring. On a positive note for moswissa, I've seen replica bezels that had the right size, placement, and good brightness and duration of the lume in the pip, so if it is aftermarket it might function just fine, if it fits. 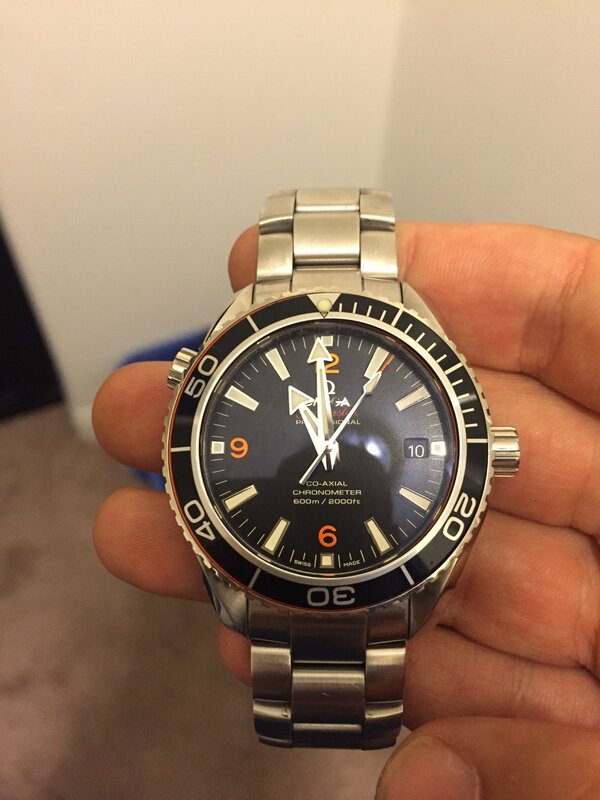 Personally, I would leave the watch alone with the orange bezel and stay original. Last edited by DocJekl; September 11th, 2016 at 08:21. I need to find out if this bezel is made for the 2500 or 8500. I thought it would be the same.